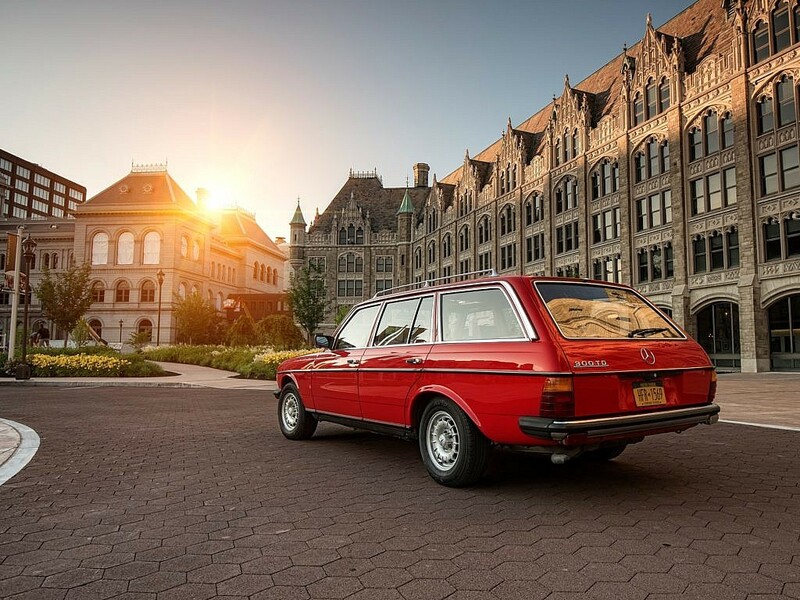 There’s a level of excitement that can’t necessarily, or easily, be explained as we prepare today’s blog about the Mercedes-Benz W123 300D/TD. Personally I’ve always wanted one, though never actually owned one. My wife, however, grew up a child of the 80’s rolling around in the back of an ’84 Anthracite Gray Metallic 300D, unbuckled and listening to sweet sounds of the Footloose soundtrack no doubt. In the 20 years I’ve known her, there hasn’t been another car that she talks about so fondly. For me, the equivalent was a used cherry red 1978 Ford Pinto that somehow avoided the death-infusing rear-end tank explosions for which they were so infamously known. 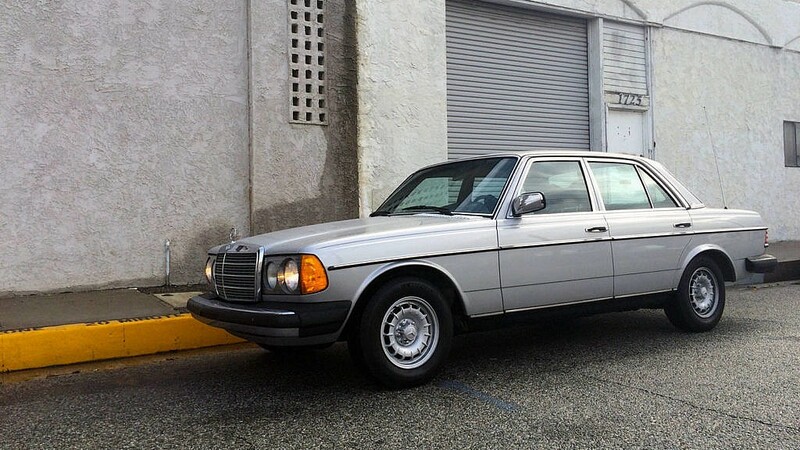 Quick history lesson..directly centered within the gas crunch, MB released the first 300 in 1976 as a sedan. An immediate superstar, waiting lists quickly grew as Americans couldn’t get enough of them. 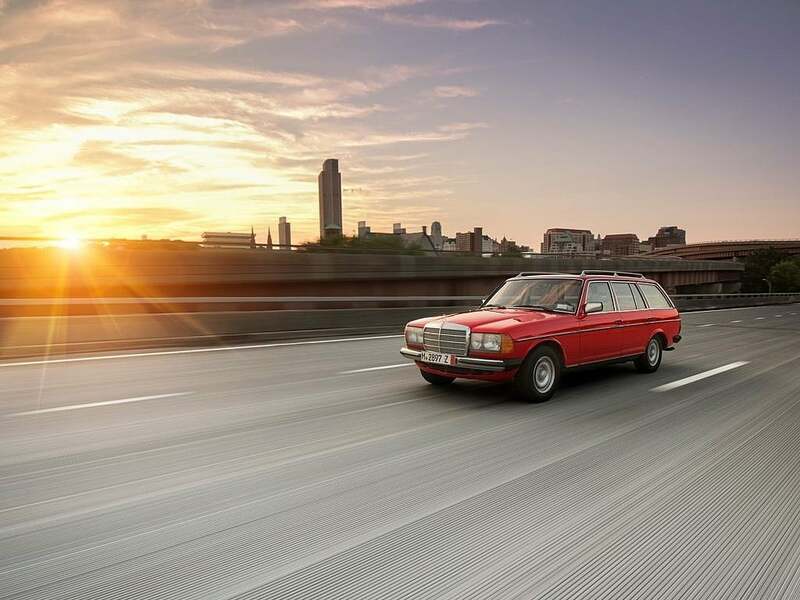 Two years later, MB releases the 300TD (aka touring diesel) station wagon. 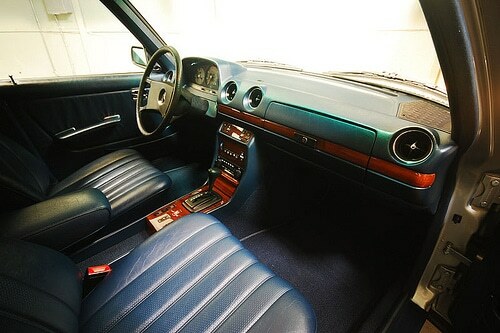 Another two years later in 1980, MB releases the turbo TD and in 1981 the sedan gets the turbo. 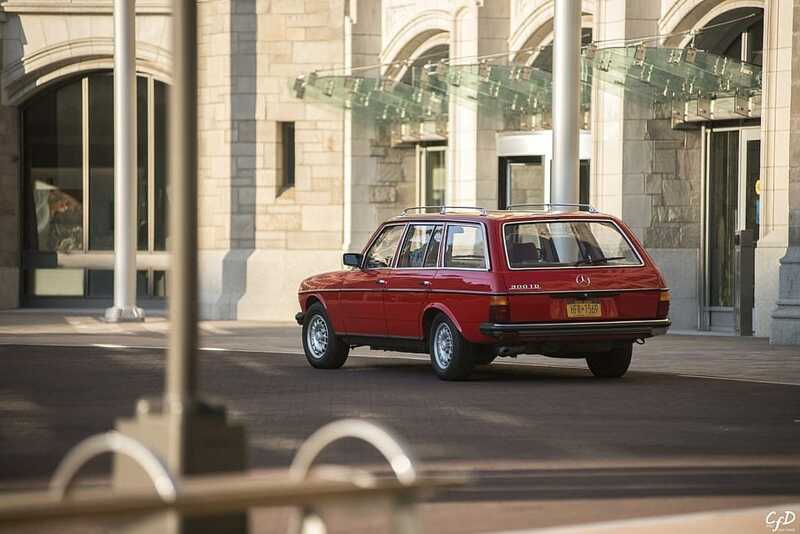 By 1985, Mercedes-Benz ceases production for the US after 487,862 300 series examples were made. We estimate that approximately 487,800 of these are still on the road, though in various forms of condition. They are as well-known for reliability and high mileage competence as, well, the Ford Pinto is known for the opposite of that. So how is it as s daily? Joe Ottati writes in to tell us… “I have a couple cars that I daily (RS4, M5, 300TD). The 300TD is by far the easiest to drive around. It’s smooth everywhere and I never have any issues with it. The power around town is fine. The only time it’s not optimal is merging onto the highway, but once you get up to speed, it holds it easily.” Joe isn’t the only one we heard this from…acceleration leaves a bit to be desired, but once you get her rolling she’s a highway queen. 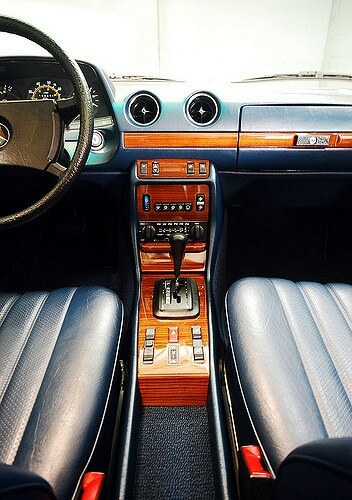 The interior is as you would expect from a luxury auto maker in the 1980’s…leather/vinyl and wood trim abound…you can almost smell it just by looking at the pictures. Doors close with a confident German engineered thud, sealing you in and shutting out the noise surrounding. Owners report easily getting 30+MPGs on 300k mile engines, so we’d say the 300 passes the “is it a good second daily?” test with no issue. What to look for? Prospective buyers should be aware these engines can run on biodiesel, which can prematurely destroy them. Know the history. Check the rear self leveling system. When it works it’s great, when not, it can bounce like a ’72 Lincoln Continental with worn out shocks. Take the car on the highway test drive. Normally when they go bad, it’s just the accumulators which aren’t expensive. Check for blow by…take the oil cap off when the engine is idling and place it on top of the filler hole. If it barely moves, the engine is healthy, if it pops a bit like a tea kettle, its acceptable, if it pops off the hole and falls on the ground, a rebuild is in your sight. Rust and accidents are typically the only way to fatally wound these. Reliable engines notwithstanding, perhaps the most appealing element of the 300 is how the elegantly refined interior compliments the opposing handsome practicality of the outside, especially in the wagon. The lines were immediately classic and to this day immediately recognizable. What’s most amazing though, is what it’s not…there is no immediate race heritage in the 300, no AMG boosted editions, it’s not limited in production, but when long-term owners walk past 450hp RS5’s and 3-pedaled M5’s to slip into the lap of 80’s luxury, you realize how right Mercedes got it with the 300 diesel.  No hidden fees, secure bidding, no risk. Ready to sell? Let’s see what you have! **A special thanks to Joe Ottati and William Brutsch for commentary and the amazing pictures. Cover photo credits to William Brutsch. 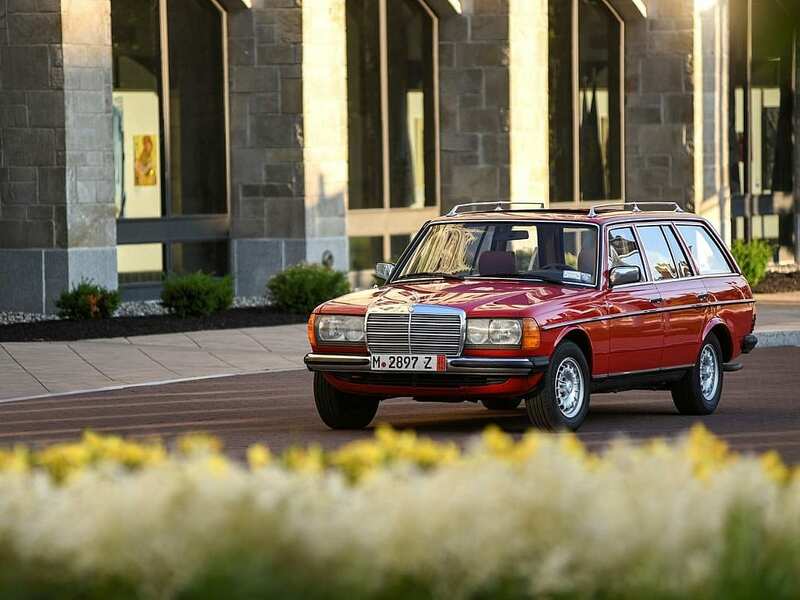 This entry was posted in German Classics and tagged 300D, 300TD, benz, diesel, Mercedes, wagon. 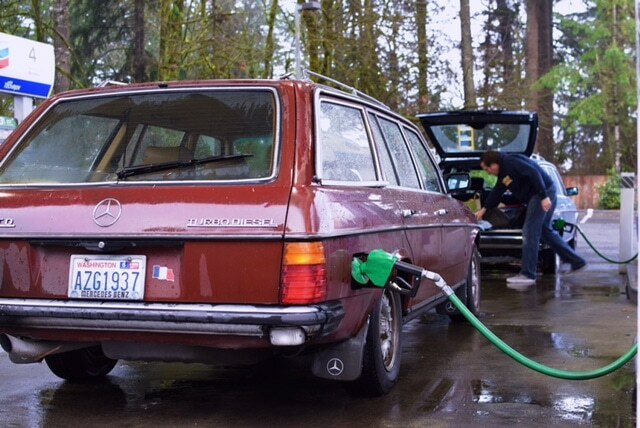 My 1984 Mercedes 300 TD may have been the best automobile I’ve ever owned. As Joe mentioned it was not the best merging onto the highway but once up to speed it was a joy to drive. I owned the car for eleven years and it just seemed to get better and better with each year.